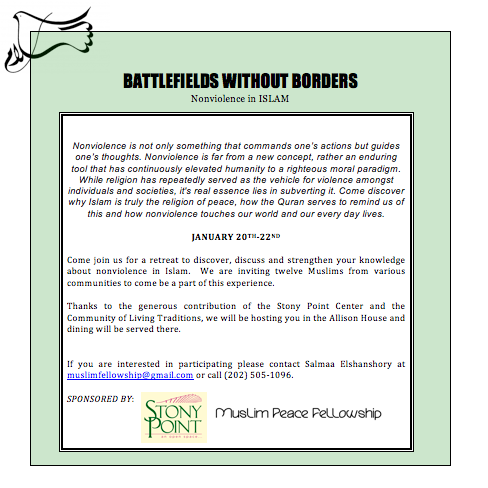 ← Muslim Peace Fellowship Opportunities!!! May not be able to join you all. I am so happy and proud of your work! May God Bless All Your Efforts! Aameen.